This helpful tutorial deals with the important topic of the service (delivery) of divorce applications. It sets out the steps you need to take when serving divorce documents on your spouse, both inside and outside of Australia. Getting a divorce appears like a straightforward process. There are important timeframes that must be met and requirements to ensure that your spouse has received sufficient notice of the application. Divorce applications can fail the first time they are before the Court if these requirements are not met. It is important to obtain advice from an Accredited Family Law Specialist about applying for a divorce before lodging the application. Without first obtaining advice, you may discover that you do not yet meet the legislative requirements under the Family Law Act to proceed. 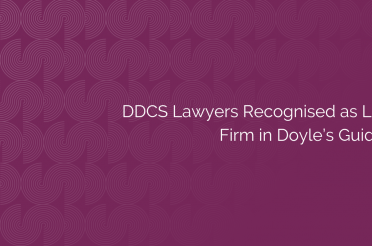 Our lawyers at DDCS can provide advice and prepare a divorce application on your behalf. We are able to offer our clients a fixed fee option for straightforward divorce applications in Australia. We also provide advice and prepare divorce applications in more complex situations where your spouse may be outside of Australia, is very difficult to find, or is avoiding service of the application. Alison Osmand is a Senior Associate at Dobinson Davey Clifford Simpson, 18 Kendall Lane, NewActon, Canberra ACT 2601 and can be contacted on (02) 6212 7600.